We didn’t catch any foul balls, the kiss cam didn’t find us, and no one got to hug Lou Seal, but we still had a blast at last night’s Giants game. 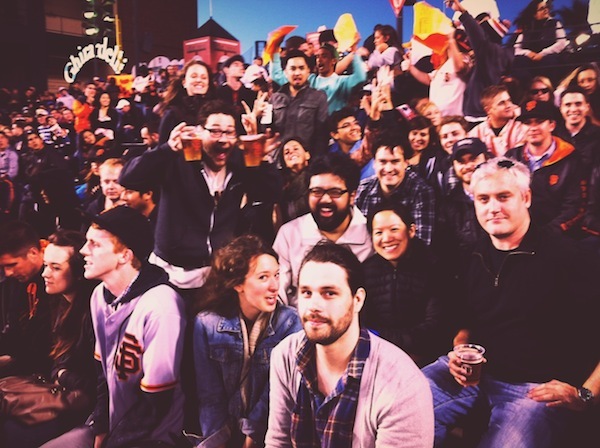 We headed over to AT&T Park (just a few blocks away from our lofty SOMA digs) to watch the Giants pummel the Astros (Sorry Houston, shoulda posted a Task for better hitting) and introduce our new interns to the wonders of Gilroy Garlic Fries. Do you look good in orange? We’re hiring.